I live in the East Yorkshire market town of Hedon. My interest in photography began as a teenager in the 1970s when I was given a Kodak Instamatic camera for Christmas. My first 35mm SLR camera was a Praktica BMS, which was first used on a family holiday on the Norfolk Broads, and this was eventually replaced with the 35mm Nikon F75. 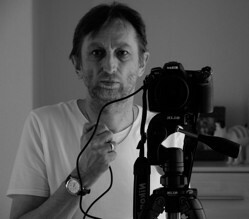 I finally succumbed to the glossy ads and went digital in 2005 with the acquisition of a six megapixel Nikon D100. In 2008 I upgraded to the 12 megapixel Nikon D300 and then upgraded again in 2017 to the amazing 36 megapixel D810. I find that the latest acquisition, when used with a pro lens such as the awesome AF-S NIKKOR 24-70mm f/2.8G ED, is producing some of the best photos I have taken to date. My main photographic interests are nature, landscapes and travel, but like most photographers I'll shoot anything interesting that happens to come along. Apart from photography, my other interests include birdwatching, genealogy and listening to rock and classical music.